Squeaky Wheel Media has brand-new digs inside the Market Arcade building. 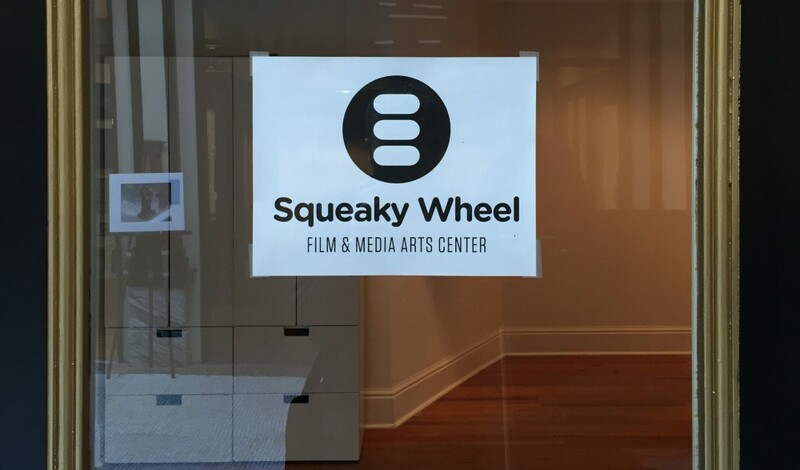 Squeaky Wheel, the plucky media arts center that dispenses video and audio equipment to Western New York's budding filmmakers and diverse screenings and exhibitions to its art connoisseurs, has settled into its new home in the Market Arcade Building. The small organization, which turns 30 this year, has taken up residence in the space formerly occupied by Visit Buffalo Niagara (now on Lafayette Square). It features a large computer lab and common area, a dedicated gallery space, a microcinema that can seat up to 40, a storefront gallery facing Main Street and large and airy administrative offices. It's safe to say the space is a major upgrade from Squeaky Wheel's quirky but charming former digs in the basement 712 Main St., about a block away. The main common area and work space will soon be filled with tables and chairs. Sangjun Yoo's installation "Distant Light" occupies Squeaky Wheel's gallery space. Squeaky Wheel's microcinema, outfitted with a rear-projection screen and high-quality sound and lighting systems, is leaps ahead of the organization's former screening room. The Squeaky Wheel microcinema features a rear-projection screen and a high-fidelity sound system. Squeaky Wheel's microcinema can seat up to 40. Squeaky Wheel's storefront space, facing Main Street, will potentially catch the eyes of pedestrians. If you want to check out the space yourself, Squeaky Wheel has plenty of events planned, including Wednesday night's screening of "Liquid Sky" at 7, another screening of local poet Noah Falck's poem-film "You Are in Nearly Every Future" at 6 p.m. Friday and many more events listed on Squeaky's website.